For the first time in more than three years in the saddle, the Federal Government on Tuesday bared its fangs, in a move to instill discipline in the system. 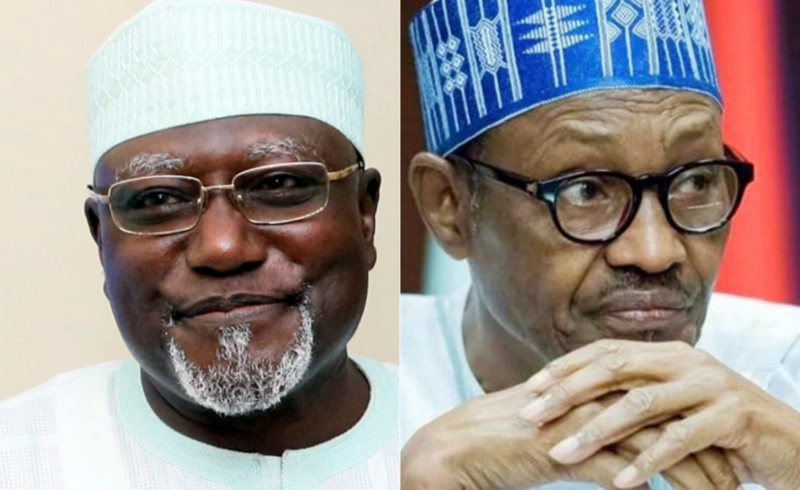 It wielded the big stick against the director-general of the Department of State Services (DSS), Lawal Daura, who was summarily dismissed for an act of indiscretion. This ex-head of the secret service was placed under house arrest for 48 hours before being released. For this faux pas, Daura was fired. He got what he deserved. Any attempt to emasculate other arms of government, in whatever circumstance, is wrong, vexatious and unacceptable. Whoever authorised Daura’s sack, therefore, be he President Muhammadu Buhari or Acting President Osinbajo, did the right thing. This is why the struggle over who will take the glory of his sack is unnecessary. That sack directive is not a personal action but that of the Presidency. This is why the statement to the effect that it was actually President Buhari who approved the sack of Daura was, in my estimation, uncalled for. There is no need for self-glorification in this matter. 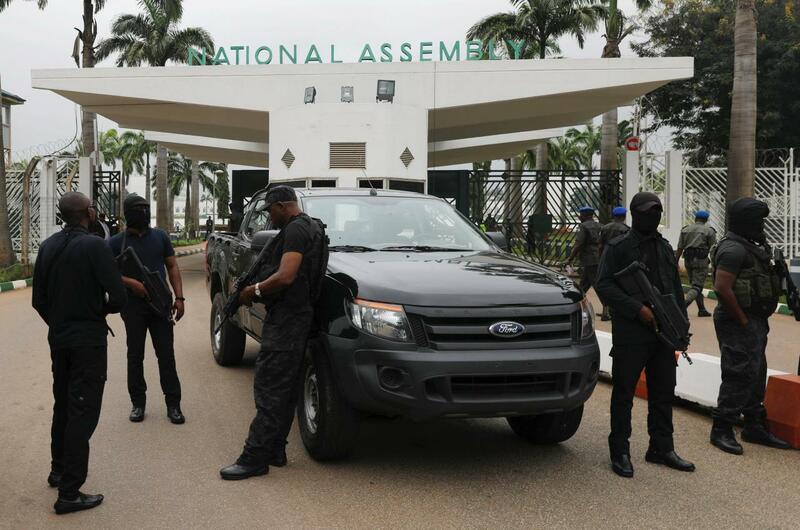 However, there are some things about the DSS invasion of the National Assembly, which need further explanation. Osinbajo said the action did not have the blessing of the Presidency. My question is: Who is the Presidency? Is the Presidency President Buhari? Is it Osinbajo? Is it the Secretary to the Government of the Federation, Boss Mustapha? Is it the Chief of Staff to the President, Abba Kyari? Ideally, the Presidency should be all of these officers and more put together, but do we have an ideal situation? I am raising these posers because I do not think a DSS director-general could be so power-drunk that he would do whatever he wants without clearing from those who gave him the job. Daura may be brash and overzealous, but I do not think he is stupid not to know the limit of his powers, when he is not the President. However, for the sake of argument, let us assume that Daura acted independently. This shows that there is trouble in the Buhari government. If a law officer would take an action that brings the government he serves to opprobrium, without referring to anybody, it means we have in place a disaorganised contraption, not a government. The Osinbajo confession, therefore, leaves me with the conclusion that what we have as the Executive in Nigeria is actually an amalgam of strongmen running weak institutions. This has manifested in many ways. There have been instances where officials of the Executive took different positions or disagreed on issues of government, when there ought to be synergy and a single position. If there was a policy trust, which serves as a template, this would not happen. The Presidency may have sacked Daura as punishment for his action, but it would certainly not be free of blame in the tragedy that was the invasion of the National Assembly. Many things have happened in the country, with the Presidency looking the other way. This has fuelled the thinking that such actions had the blessings of government. Two of such incidents need to be highlighted. Some months ago, the Senate was invaded by hoodlums, who snatched the mace during plenary and went away with it. Till date, no explanation has been offered. Nobody has been put on trial. Nobody has been punished. A few weeks ago, policemen and operatives of the Economic and Financial Crimes Commission (EFCC) laid siege to the residences of Senate President, Bukola Saraki, and Deputy Senate President, Ike Ekweremadu, on a day they were supposed to attend Senate sitting, wherein 14 senators defected from the All Progressives Congress (APC) to the Peoples Democratic Party (PDP). Saraki eventually broke through the cordon and attended. Ekweremadu, on his part, could not escape from his “uninvited visitors.” The police and EFCC action raised some eyebrows because the police and the EFCC did not give them the opportunity to even leave their homes to answer their summons, which was the alibi, as their operation started early that morning. This, therefore, gave them away as being involved in a sinister motive other than having the two come and answer some questions. The Presidency had indirectly supported this action by saying security agencies should be allowed to do their job. There is a distrust of the Presidency by many Nigerians. This is so because people start having problems when they begin to disagree with government. Saraki joined the APC in 2014 from the PDP and contributed, financially and materially, towards its success in the 2015 elections. Between 2014 and June 2015, he had no problem whatsoever. However, from June 9, 2015, when he emerged Senate President, against the wishes of the Executive, the asset declaration matter sudden came up. He was dragged to the Code of Conduct Bureau, tried and now cleared. Also, suddenly, an attempt was made to link him to armed robbery in Offa, Kwara State. Today, everybody is praising the federal government for sacking Daura. I dare say that, had the DSS invasion of the National Assembly produced the desired result, many of those who are speaking out now would justify the action. This shows that Nigerians are bloody hypocrites. Daura should not be the only person to be punished for the DSS invasion of the National Assembly. There should be a thorough investigation, as he could not have worked alone in the operation. There is the belief that the action was to effect a change of leadership in the Senate. This means that the former DSS boss worked with some senators and political party officials. Such people should be identified and brought to book. Indeed, Daura’s sack should serve as a lesson to those in government who are playing god. It is a lesson to the effect that power is transient. Yesterday’s powerful DSS chief is now a villain in the eyes of government. This means that nothing is permanent. The so-called NASS, Presidecy, PDP, APC, brainwashed terrorism mercenaries nickname security agencies etc. are clubs of bandits, generation of failures, political prostitutes, complicit and collaborators of the enemy fighting on the sunken ship nickname Nigeria and must fight their fight to finish and go down with the sunken ship nickname Nigeria in this final conquest of the Liberation Revolutionary Warfare of the natives under the natives Disintegrated Republics which is the conquest of Sokoto which has begun. God given Victory is the natives. Only the Sword decides. God Is With Us!!! Beside the politicians that might have colluded with Daura and his men, the presidency itself cannot be said to have no hand in the whole brouhaha. So there is every need to carry out a thorough and exhaustive investigations to unearth all the culprits/coupists.